Earl Thomas wore a cool fur hat on Saturday during the Seahawks' win. The story behind it is a fascinating tale that shows how far-reaching the Seahawks community is. 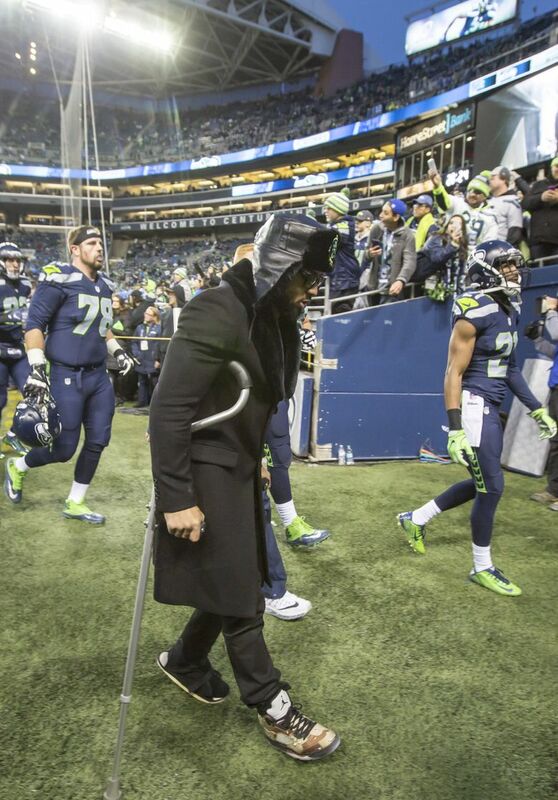 You might’ve noticed Earl Thomas on the sidelines during the Seahawks’ 26-6 win over the Lions on Saturday. You might’ve also noticed how stylish he looked, wearing shades and a fur hat. I’m young rich and boujie killer instinct talking. Game Day! That’s where Boris Khodok and the Russian Sea Hawkers come in. 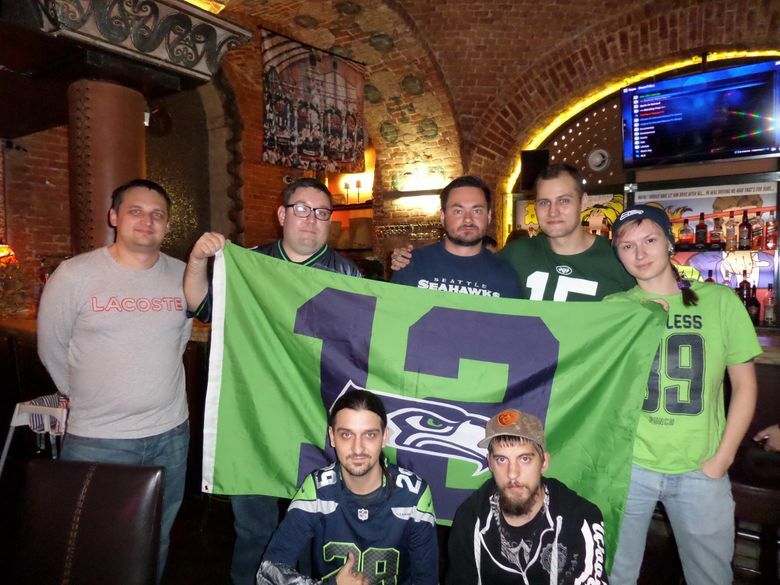 The group consists of Seahawk fans from Russia, Ukraine, Belarus, Kazakhstan, the Baltic states, Germany and the Czech Republic. They communicate via Russian social media, watch games together at 4 a.m. in Moscow and have one undying commonality: their love for Seahawks football. The community of Sea Hawkers love football. 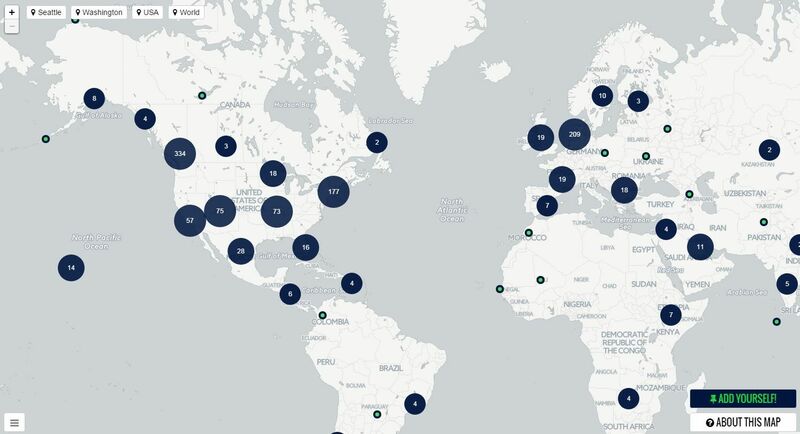 Some watch, while others participate in the League of American Football in Russia — an international league that brings football to countries across the world. Khodok, the group’s president, used to play cornerback for the Moscow Spartans, but now he officiates games in his free time. So of course, when Khodok learned of an opportunity to spread the group’s message and present Thomas with a gift, he jumped on it. One of the group member’s friends works closely with Thomas, giving the group a chance to get a gift into Thomas’ hands. With just days to decide on create and ship the gift, the Sea Hawkers acted swiftly. They first wanted to present Thomas with a painted matryoshka doll (Russian nesting doll), but that would have taken too long. So the group settled on a hat, with a special logo and inscription. The Sea Hawkers got to work, crowdsourcing to fund the project, and collaborating to finish the wool and leather Russian military hat with ear flaps and its special logo. In addition to the hat, the final present included a stuffed cat with Thomas’ jersey and a letter (see full text below). 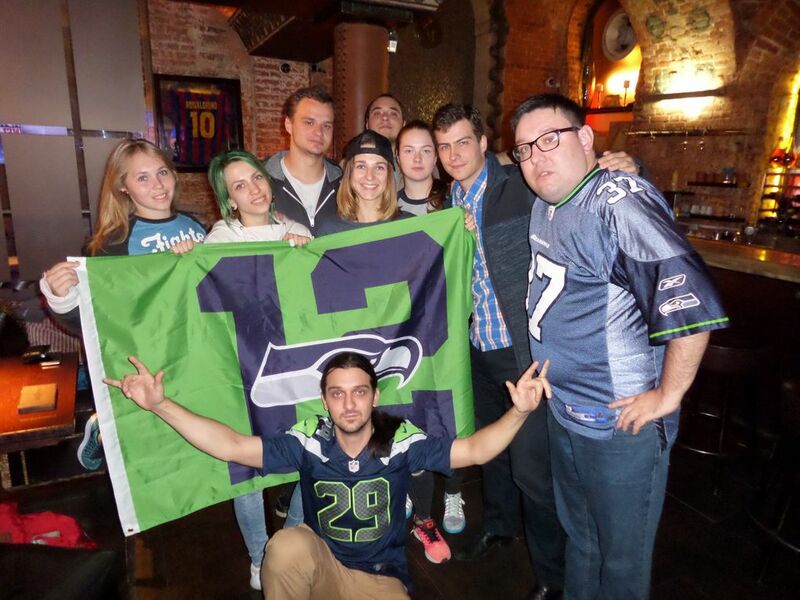 We are fans of Seattle Seahawks from the countries emerged from the dissolution of the Soviet Union. Some of us live in Russia, some live in Ukraine and Belarus (they differ from Russia as Canada differs from the USA). We have guys from Kazakhstan (it is like Texas, USA – there are also cows, cowboys and oil, but the country is four times bigger by land area), Georgia (not the one to the North of Florida, but the one to the South of Russia) and the Baltic states, our fellows are in Germany, Czech Republic and of course in the State of Washington. Some of us play football, some officiate and some just watch it, but all of us love the best ball game on Earth, and we are all sure that the Seahawks is the best team in the world. For many of us you are the favourite player. However, two members of our community – Darya and Xenia have another player being their favourite one, and this is Richard Sherman. Probably this choice is the result of these girls playing cornerbacks. We love you not only for interceptions and tackles, your invincible spirit – that is what is more important for us, it is great that you were able to demonstrate it in the game against Falcons. The action team of our fan club “Russian Sea Hawkers” which is currently in the process of official registration could not miss the opportunity to make you a present. It is a uniform winter hat of naval pilots based on the only Russian aircraft cruiser – Admiral Kuznetsov. These guys fly multirole fighter aircrafts MiG-29K (Mikoyan MiG-29K, NATO reporting name: Fulcrum-D). We think that the coincidence of your numbers and tasks on the football and battle fields is highly symbolic. Members of our fan club – Ivan and Sasha, made a plush cat for you with their own hands, to be more exact it is more for little Kaleigh Rose rather than for you, so her father could be always near even when he is in another city, being on the field to show everyone his indomitable spirit and another tremendous game. We wish you to stay on the field for many years with no injuries, to hold Lombardi Trophy in your hands couple of times more, and to put on a gold jacket in Canton afterwards. We wish you all the best, be happy and let love, peace and harmony live at your home. 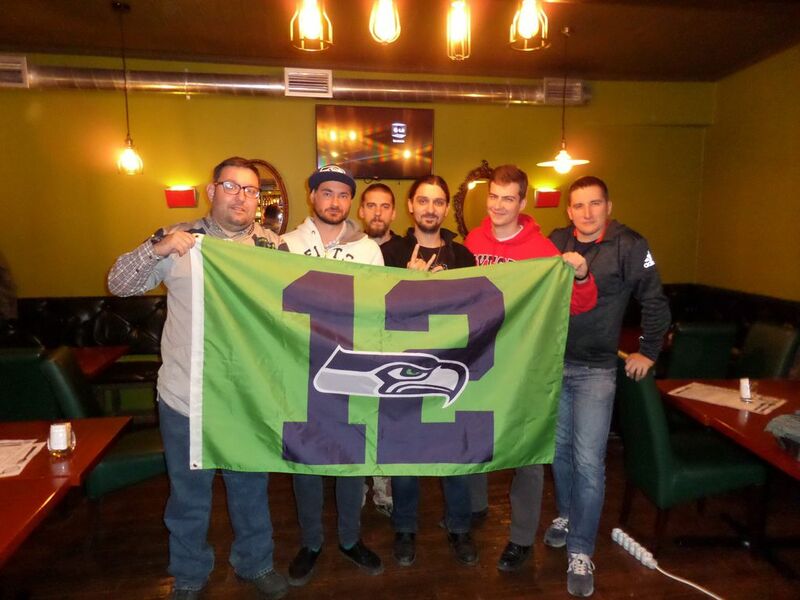 If it is not difficult, could you please tell your teammates that when they take the CenturyLink Field or any other field, they are supported not only by those who came to the stadium, we are also with you – watching games live on the Internet. And we are also shouting, but that is more like whisper-shout because when you play on Sunday evening, it is already the middle of working Monday in the east of Russia, and 3 a.m. in the West – so we just don’t want to wake our families up shouting too loud. Thank you and all the guys for giving us so much joy and hope. 247 devoted fans from Vladivostok in the Far East of Russia to Kaliningrad in the West, from Murmansk above the Arctic Circle to Almaty in the south of Kazakhstan. The result? 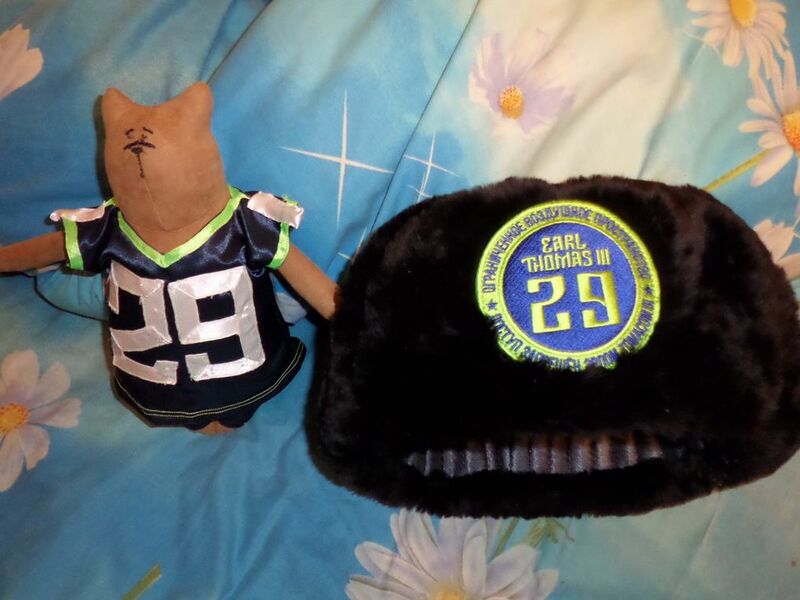 Earl Thomas on national TV with his teammates wearing the one-of-a-kind fur hat. Seahawks head coach Pete Carroll caught wind of the Russian Sea Hawkers and their special gift to Thomas. 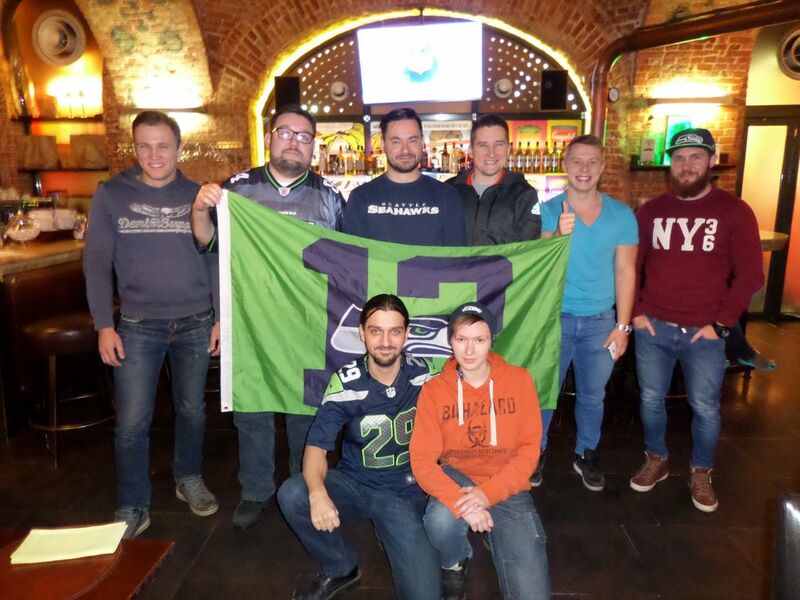 The upcoming Seahawks-Falcons game will begin at 12:30 a.m. on Sunday in Moscow, and you can bet Khodok and the Russian Sea Hawkers will be watching and cheering across the world. Khodok also says he’d like to send a gift next to Richard Sherman, his favorite player, but is still trying to figure out how.